A musical "bless you" should you get the sniffles! These darling pocket pack tissues tuck easily into a handbag, briefcase or backpack and go anywhere with you. The eye-catching music motif will delight while the soft four-ply tissue brings relief. 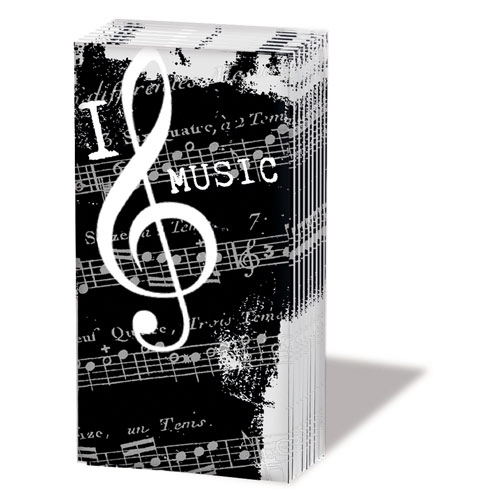 Set of 10 music notes tissues measure 8-1/2" square unfolded.